This is the immense Saturday night helping you take your weekend to the next level! With eclectic music and stunning decor, you are guaranteed to feel the weekend vibe, all night long! Keeping the drinks flowing and helping you have the ultimate weekend you won’t find drink prices like ours anywhere! We spoil you with some hot DJ’s showing you what the weekend is really about! 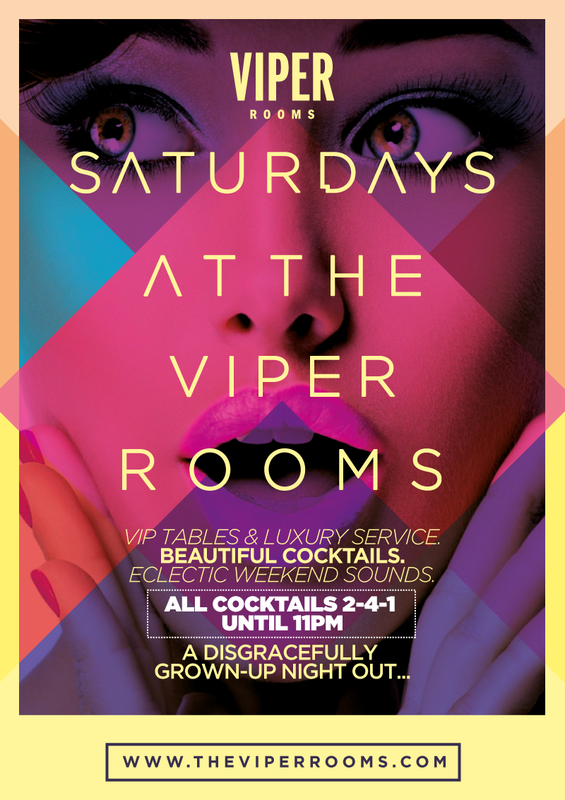 The Viper Lounge – Fashion meets passion! Playing you and elegant blend of Funk, Soul, Disco, R&B + House Classics! The Basement – For the real party people! We offer tables to hire which work on a minimum spend basis and range in price depending on the size and location of the table. Your minimum spend can be spent on whatever you wish from our bottle service menu.